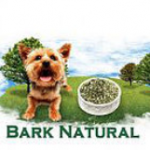 Bark Natural Mix is available to be ordered and delivered straight to you door! Bark Natural is a naturopathic formulated complete food mix for dogs, that will enhance any dogs raw meat diet. It contains Alfalfa, Gention, Kelp, Oats, Sunflower Seeds, Livamol and other essential vitamins and minerals. Mix with your dogs raw meat diet and you will have an excellent balance diet for your dog.